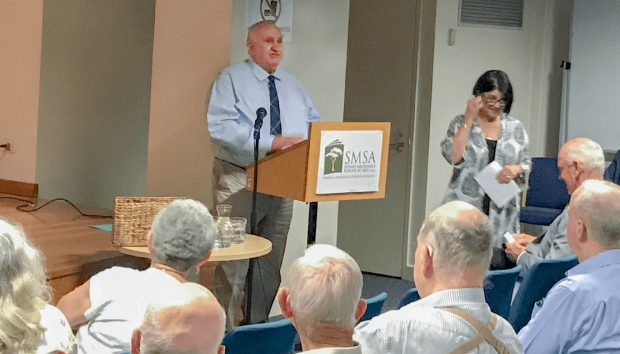 At the recent AGM on 12 March 2019, Jim Lowden from Mechanics’ Institutes of Victoria was invited to address the members. Jim spoke about how his involvement in the Mechanics’ Institute movement had come about and Mechanics’ Institutes of Victoria’s work. Following his speech, Jim was awarded be receiving the inaugrual SMSA Medal, the highest award given by the School to an individual.